Shaving Brush Cleanser is a unique soap puck to clean your shaving brushes. 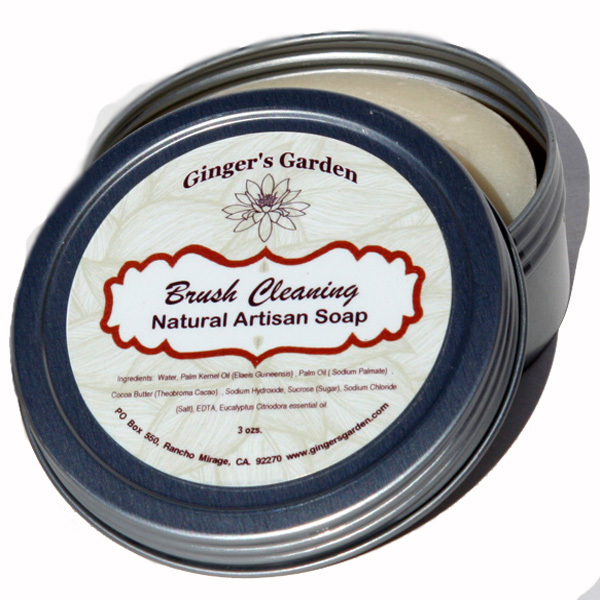 It is specially formulated to clean a shaving brush of soap build up and sanitize with essential oil. If you haven’t cleaned your shaving brush in a while, you will see a difference! Deep cleaning with Ginger’s Garden Shaving Brush Cleaner should be done about once a month. Just wet the brush and run it across the soap puck to help remove hard water deposits and soap scum. Safe to use with vintage shaving brushes. Rinse well and let the brush dry. Works well with Boar bristles or synthetic fibers. Don’t let a dirty shaving brush keep you from getting a great shave!